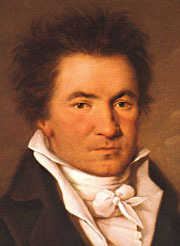 Although there is no definite masonic record for Ludwig van Beethoven, there are strong grounds for believing that he was a mason. 1. Andrew Pearmain. "Music and Masonry." The Prestionian Lecture for 1988. Ars Quatuor Coronatorum. London : Quatuor Coronati Lodge No. 2076, vol. cii (1990). p. 152. 2. Claire M. Nelson. "The Masonic Connections of Haydns impresario Johann Peter Salomom." Ars Quatuor Coronatorum. London : Quatuor Coronati Lodge No. 2076, vol. cx (1997). p. 183.